Products in our door handles collection combine stylish looks with functionality and durability. 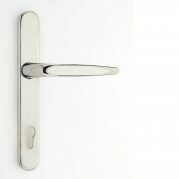 We offer a variety of branded handles, as well as our own premium range, Quantum. Suitable for any uPVC, timber or composite doors & available in a variety of finishes. Designed with both functionality and aesthetics in mind, our premium Quantum MK2 Long Back Plate door handles are fully suited with the door and window furniture from the same range, delivering a consistent high quality & stylish look. Choose from seven popular finishes that will truly complement your doors. Available in lever/lever and lever/pad options. 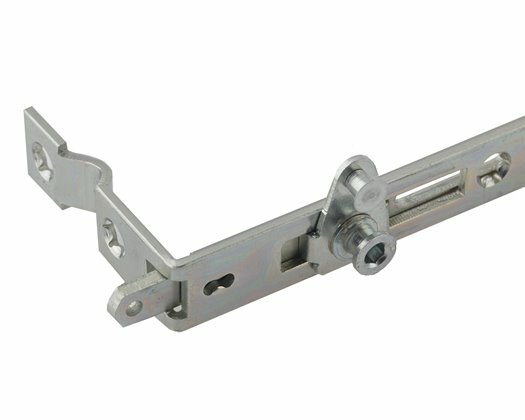 Our Quantum MK2 Short Back Plate combines beautiful looks with an ergonomic design, adding real value to any uPVC, composite and aluminium door. 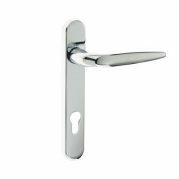 Available in White, Satin Silver, Chrome, Gold, Black, and Flint, our door handles are suitable for door thicknesses of 38mm-72mm. 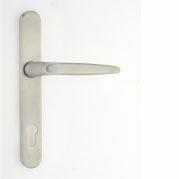 We offer 10 year mechanical guarantee on all our handles. Aimed at fabricators wanting to stand out in the marketplace, our sleek Quantum Stainless Steel door handles feature a contemporary design that will add aesthetic value to any high-end composite or aluminium door. Available in seven finishes, from Brushed Stainless, to powder coated White and Black options. 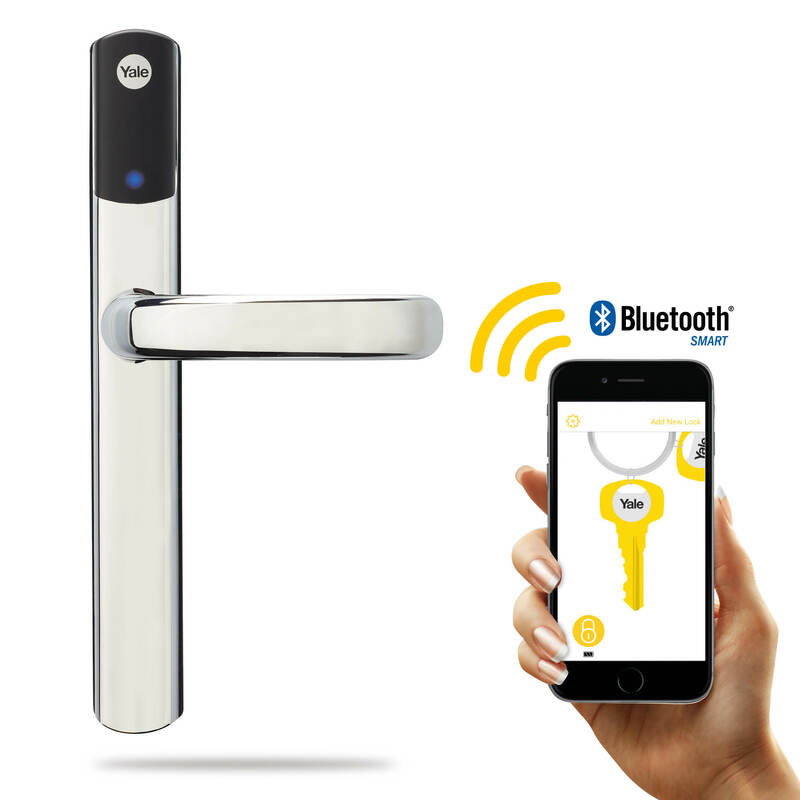 Say goodbye to keys, the Yale Conexis L1 gives you the freedom to control your home from your phone. This easy to fit handle is PAS 24 and TS 007 3 star compliant, and allows you to control who has access to your home. The TS007 2* Door Handle allows fabricators to fit a lower cost 1* cylinder and still meet the requirements of Document Q, but at much more competitive price. 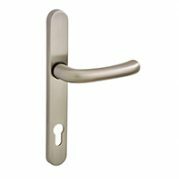 The stylish, high performance Handle is manufactured in 304 stainless steel, giving ultimate corrosion resistance and has a 25-year guarantee on all finishes. Manufactured to the highest standards, the Sparta Long Back Plate Door Handles from Trojan offer not only an attractive design, but also durability and reliability, due to features such as the patented spring cassette, which eliminates the drooping handles effect. Available for door thicknesses of 58mm-70mm + 40mm. Available in a large choice of finishes, including Gold, Polished Chrome, White and Black, the Sparta Short Back Plate from Trojan delivers beautiful modern looks that have been proven to last. The door handles have been corrosion tested to BSEN 1670 – painted finishes Grade 5; plated finishes Grade 4. Available in lever/lever and lever/pad options. Manufactured in 304 stainless steel for ultimate corrosion resistance, the Sparta Stainless Steel Door Handle boasts a sleek, contemporary design. 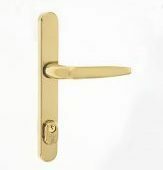 The handle is available in a comprehensive choice of finishes, including Polished Gold, Brushed Gold, Polished Stainless, Brushed Stainless and White powder coated over stainless. 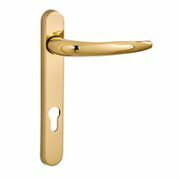 The high-quality handle comes with a 25+ year guarantee on all finishes. 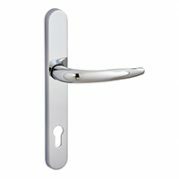 The Elite range from Trojan boasts a contemporary design and is suited with other steel door furniture of the same make, offering a consistent, modern look. 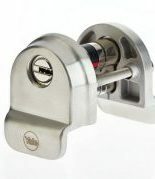 Manufactured in high grade marine stainless steel, the Elite Escutcheon, Central Door Knob and T Bar Handles come with a 25 year guarantee against corrosion.